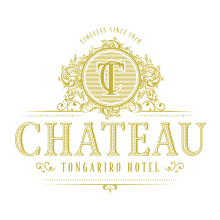 From awards to news and announcements, learn about some of the exciting things happening at Chateau Tongariro Hotel. Chateau Tongariro Hotel’s Ruapehu Room has been recognised as one of the best restaurants in New Zealand as a recipient of the prestigious 2018 Beef and Lamb Excellence Award. The award stemmed from an anonymous assessment by trained culinary professionals who provided glowing feedback on two Ruapehu Room dishes. If you are going to Mt Ruapehu to ski, to snowboard or to sightsee this winter, Department of Conservation (DOC) recommends planning ahead and using a shuttle. Shuttles are good for the environment, reduce traffic and roads can be slippery in winter conditions. DOC Tongariro District Operations Manager Bhrent Guy says winter in the park is beautiful. "We have vast spaces for walking and hiking through native bush and space for endangered native wildlife such as kiwi and whio to thrive. We also have space for visitors to ski, hike, bike, do short walks or have family fun." Local transport provider ROAM will be running shuttles from Whakapapa Village to the Top of the Bruce every day from the 2nd of June at the following times: 8.30am, 9.15am, 10.00am, 10.45am and 11.30am. Departures will be from the Chateau Tongariro, Whakapapa Holiday Park and The Skotel Alpine Resort. Booking ahead is highly recommended. Pricing will be return: NZD20 Adults and NZD10 for Children (3 – 14 years). One way will be Adults NZD10 and NZD5 per child.